The design of a residential building is assessed using Firstrate 5 second generation computer modelling. The thermal comfort of a design is rated on a scale of zero to 10 stars. The more stars, the less likely the occupants need artificial heating & cooling to be comfortable, which means lower electricity & gas bills. The rating depends on a few factors, the buildings orientation & post code within Australia, what it's made of (EG: double brick, brick veneer, weatherboard, tiled or metal roof, etc), the size of the windows, what they're made of & what direction they face and if there is any shading to those windows. In WA the minimum standard is 6 stars, this can be achieved in many different ways & we find the cheapest way for you to get compliance, however, if you want to get above 6 stars then we can help you get there. 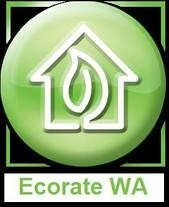 All energy efficiency assessments come with the NCC (BCA) energy efficiency checksheet option 1 or 2, artificial lighting & ceiling penetration calculations, plus the glazing calculation if option 2 is required, these extra files are a requirement of all councils in Western Australia due to the energy efficiency requirements of the BCA (NCC). An ABSA (Association of Building Sustainability Assessors) certification for the building is also included in the price. Give us a call or email, you will be suprised how much cheaper our quotes are & how much more you get.